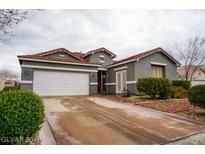 Below you can view all the homes for sale in the Washburn Bruce subdivision located in North Las Vegas Nevada. 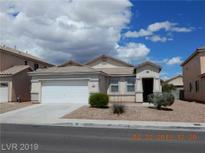 Listings in Washburn Bruce are updated daily from data we receive from the Las Vegas multiple listing service. To learn more about any of these homes or to receive custom notifications when a new property is listed for sale in Washburn Bruce, give us a call at 702-323-5963. Master bath has separate shower and tub. Patio in back. MLS#2088724. Creative Real Estate Assoc. Easy to maintain desert landscaping. A TRUE MUST SEE! MLS#2085019. Rock Realty Group. Great Floorplan * 4 Bedroom Home * 3 Car Att Gar (2 On Left & Separate 1 At Top Of Drive) * Dramatic Entry; Soaring Ceiling At Living Rm * Lovely Dining Area Open To Living Rm * Large Island W/ Brkfast Bar In Large Kitchen & Open To Family Rm * Upgraded Tile Flooring Downstrs * Cov Patio W/ Built-in Bbq In Back Yard * Chandelier In Dining & Ceiling Fans Stay * Washer/Dryer/Frige Stay * New Water Heater 03/2018 & Washer 11/2018 MLS#2073945. Signature Real Estate Group. Freezer in garage & St Francis statues do not stay. 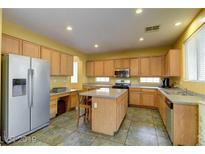 MLS#2064578. Simply Vegas.